Why become a member of the Fernelius Family? When your car, SUV or pickup truck is in need of auto service in the Cheboygan, Petoskey or Sault Sainte Marie, Michigan area, bring it to the professionals at the service departments of Fernelius Auto Group. Our auto service centers are staffed by factory-trained and ASE Certified technicians who have decades of experience working on all makes and models. So whether you drive a Chevrolet, Ford, Toyota or any other make, our service teams are ready to get you back on the road with top-quality service! Select your Fernelius Auto Group dealership and service center of choice here on our website; then you can book a service appointment online or by contacting our service advisors over the phone. Why would you take your Chrysler, Dodge, Jeep, Ram or Hyundai to just any auto repair shop? At the Fernelius Auto Group service centers, we specialize in the maintenance and repair of top auto brands like Ford and Toyota. Whether your car is coming in for a quick oil change, brake job or even warranty repairs, know that we utilize genuine OEM parts and OEM-approved fluids and components on each service job we perform. To keep your car’s engine running efficiently, regular oil change service is critical. Our staff of service technicians can get your vehicle in and out promptly with the proper motor oil and new replacement oil filter for your car; we can check other vital auto fluid levels, as well. For your car’s next oil change, drive down to a service department of Fernelius Auto Group — no appointment is necessary! Have you had the tires on your car, truck or SUV inspected as of late? Your vehicle’s tires are a crucial component to maintain for its continued safety and performance. When you bring your car into one of our service departments, for any reason, our staff of tire technicians can inspect your tires and inflate or rotate them if necessary. If you one or more tires need replacing due to safety concerns, we can install new tires from a variety of quality tire brands. For comprehensive auto maintenance and repair in Michigan, choose a Fernelius Auto Group service center. Our dealerships and service departments are located in the Cheboygan, Sault Sainte Marie and Gaylord, MI areas. 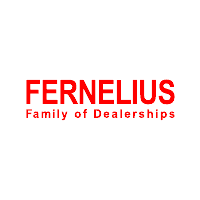 Fernelius Family of Dealerships	45.6222939, -84.4818443.